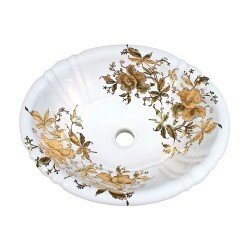 Another version of the Gold Orchids design on a contemporary Kohler Persuade toilet tank and lid. Beautiful matte and shiny metallic gold orchids edged with fine black lines and highlighted with gold bands on the toilet tank & lid. 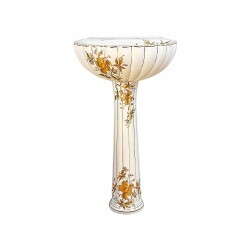 Coordinates with the Gold Orchids basins. Check them to get a more accurate idea of how good the design looks, this isn't a good photo, sorry. 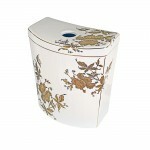 Shown painted on a white Kohler Persuade toilet. Looks great on any color. 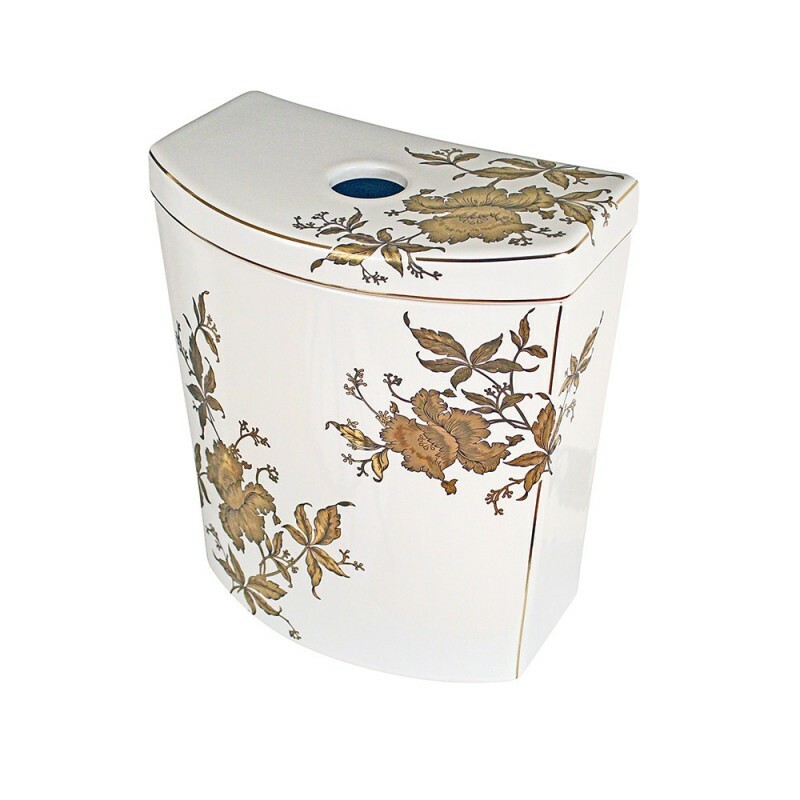 We could also add this design to the Toto Whitney toilet if you are looking for a little more traditionally styled toilet. 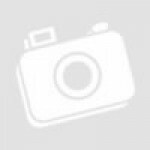 Check the Fixture Choices page for more details. Ships in 2-3 weeks.